Neil Loeb is a highly recognized American Pop-artist who has enjoyed great commercial success. 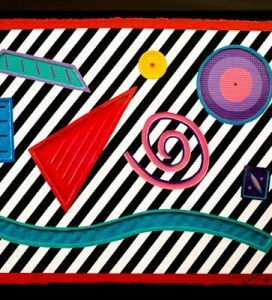 He is most notably acclaimed for his dramatic, bold and simplistic paintings on cast paper, with images, shapes and colors that conjure up memories and feelings from our childhood past. The principal medium in his artwork is the use of cast paper, a concoction of molded cotton fibers that Loeb mixes and presses by hand. He then paints and arranges the cast shapes to create the final composition, a whimsical and vibrant blend of unique shapes and color. Loeb has been quoted saying, “When I make my own paper, the final artwork is one-hundred percent mine.” His unique and playful paintings won him a special place in the art world beside famous names as Truman Capote, Jacques Liptchitz, Andrew Wyeth, Betty Davis, Joey Heatherton and Tennessee Williams. Neil Loeb’s ability to connect to the hearts of the masses earned him contracts with both Hanna-Barbara and Disney for his iconic interpretations. 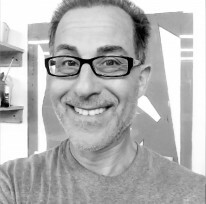 A savvy businessman and a prolific artist, Neil Loeb has opened several galleries and restaurants in the United States and his artwork is also in numerous galleries and collections throughout the world. Planet Hollywood Towers in Las Vegas, Nevada, showcases a commissioned series of his Pop-art pieces. Neil Loeb has also been commissioned to do many portraits of renowned figures such as Richard Rodger’s, of the songwriters duo Rodger’s and Hammerstein, and Rocky Aoki, the chain founder of Benihana’s restaurants. He has been the official portrait artist for the Miss America Pageant since 2006 and continues to create a painting of the newly crowned winner each year. Today, Neil Loeb is reviving his Pop-art style while continuing to create new and exciting collections of original art.